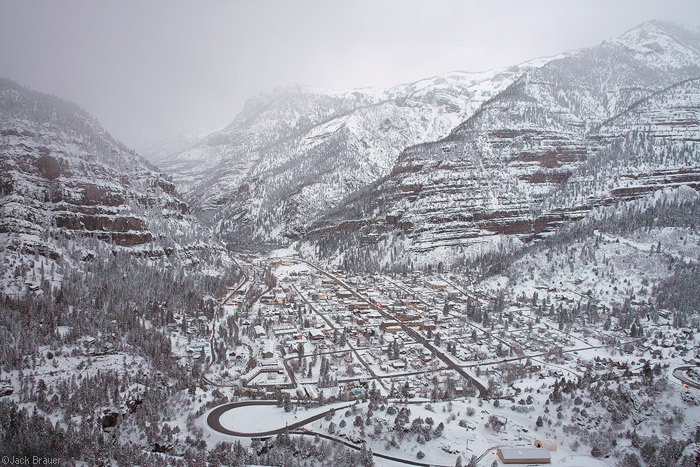 Ouray smothered in snow after a 3-foot snowstorm in April, 2008. Ouray got over 20 feet of snow that winter. Photo © copyright by Jack Brauer.